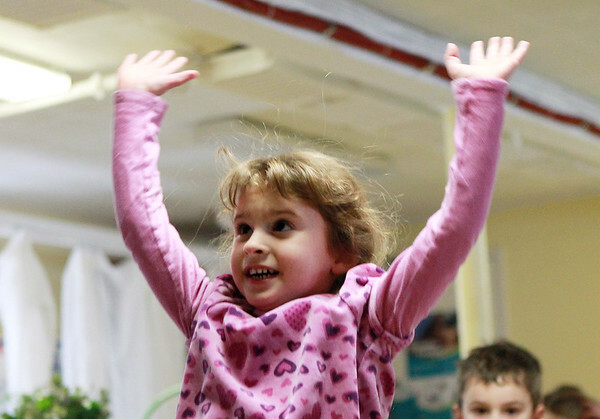 Five-year-old Aliyah Doyon, leaps in the air while dancing along to a song during the Annisquam Pre-School music/movement program on Thursday morning. DAVID LE/Staff photo. 2/5/15.